Continuing in the theme with my Dish Soap Challenge, I decided to use dish soap to clean my windows. I did a bit of "googling" about it before hand to see if this is at all common. From what I read, some professional window washers use it all the time! Did you know that? I. Did. Not. But I'm happy to know now! First of all, you should know that if you clean your windows with the sun shining on them, you will almost always end up with streaks. 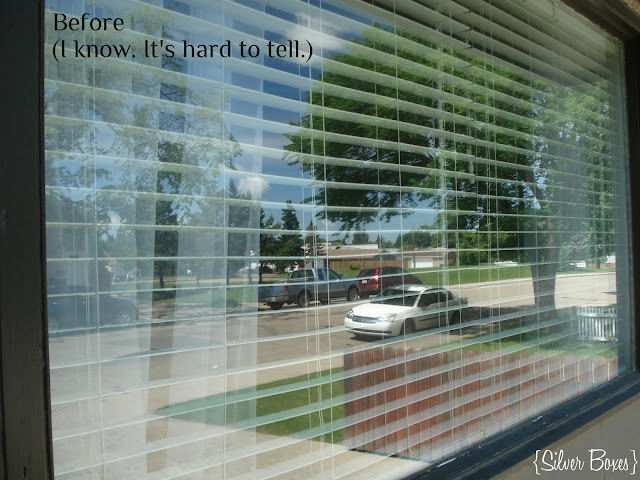 It was sunny on the day I cleaned my windows so I did the back of the house first (it was still shady there), then in the afternoon when the front of the house was in the shade, I did those windows. Or you can just wait for an overcast day to do it. Fill your bucket with lukewarm water FIRST, then add just a couple drops of dish soap. Then mix it with your hand. This is one case when the bubbles & suds can work against you. Use a squeegee & a dry, lint free rag. 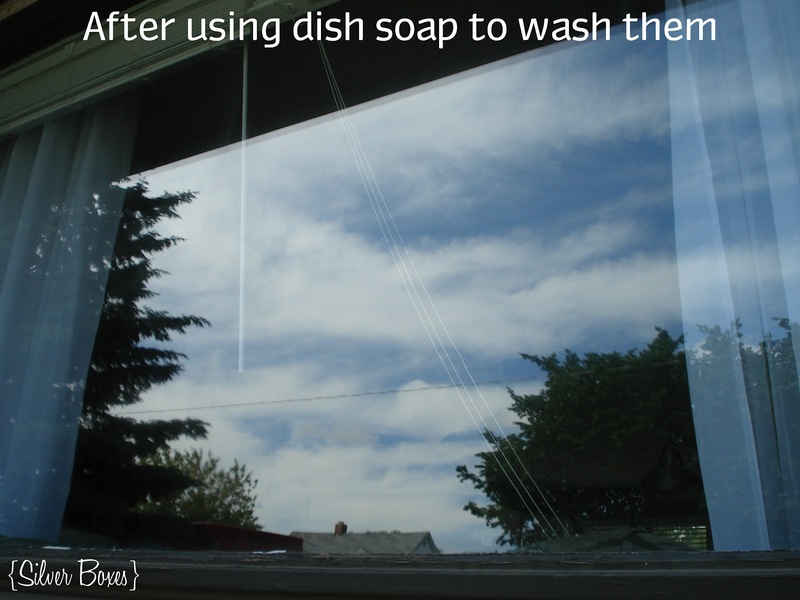 Use the squeegee to wash & squeegee the window. Then wipe any stray drops of water with the rag. Your windows will look amazing! It's hard to see all the spots on the window in the before shots, but trust me, after going through another Saskatchewan winter, these windows are dirty! If you enjoy my blog, please consider following along / subscribing. Thanks for reading! 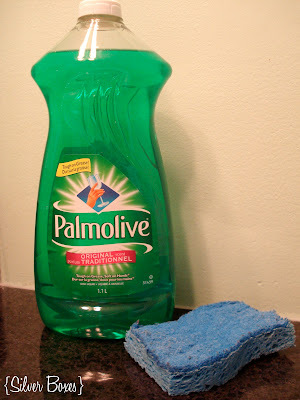 I love Palmolive, it's the only brand that doesn't eat my hands up - I'll be doing this to my windows, both my house and my car and truck! Thanks for sharing. 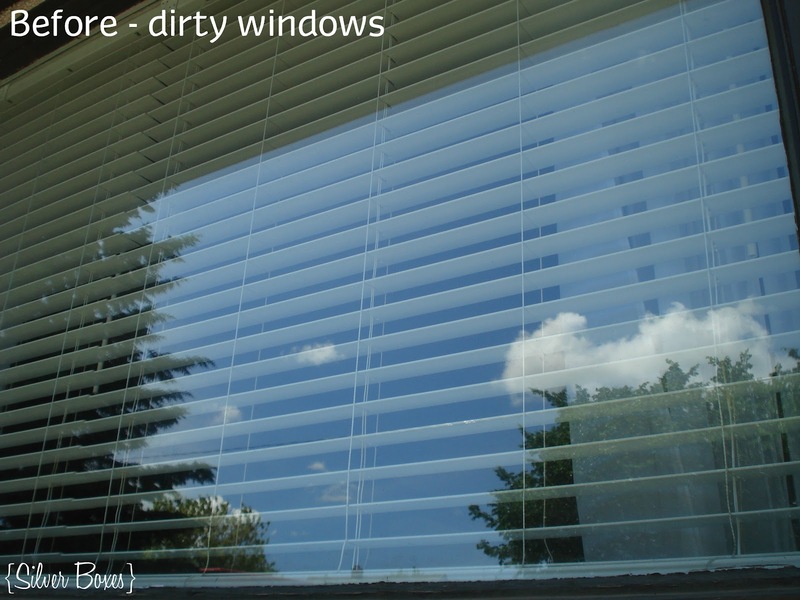 I will definitely follow these tips and hope that my windows will look as clean as yours. Palmolive isn't my dish washing liquid but I may start using this if my plates would sparkle like your windows. Thank you for the tips!